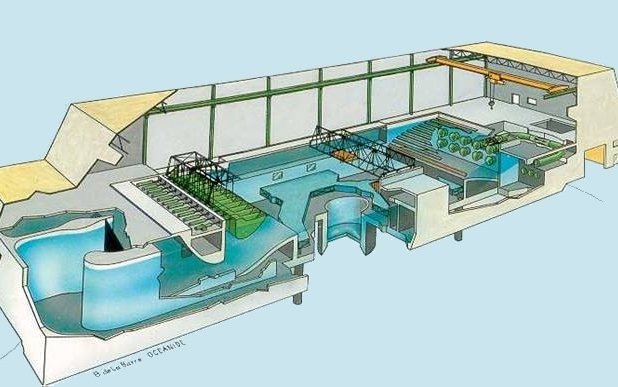 Compact configuration of the basin to run the tests with accuracy, speed and flexibility. Simultaneous generation of wave, current and wind. Ability to perform tests in shallow or deep water. 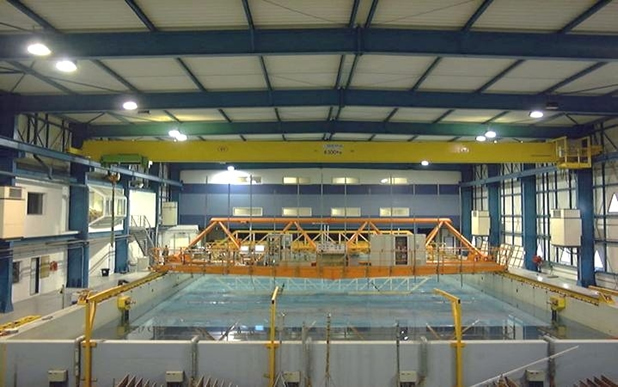 Expertise in experimental hydrodynamics in association with university researchers. 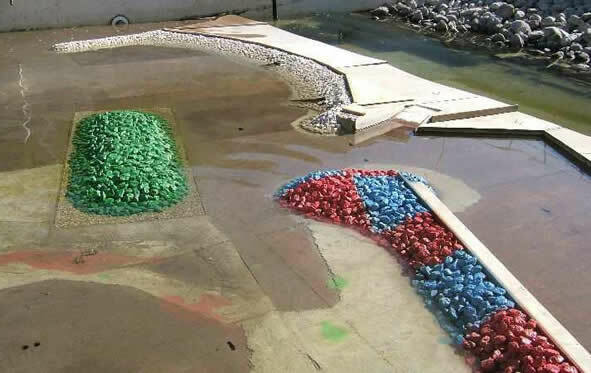 This tank is a shallow water basin designed mainly for physical model testing of coastal structures. 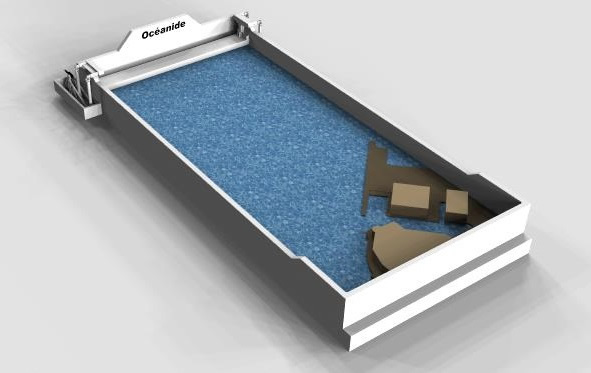 These tests verify the stability of these structures in a given marine environment, and assess their performance in terms of protection, stability, overtopping, reflection, transmission or environmental impact in view of a possible optimization of the project. 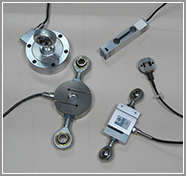 Compact configuration for performing the tests with accuracy, speed and flexibility. Modern computer and metrological equipment. 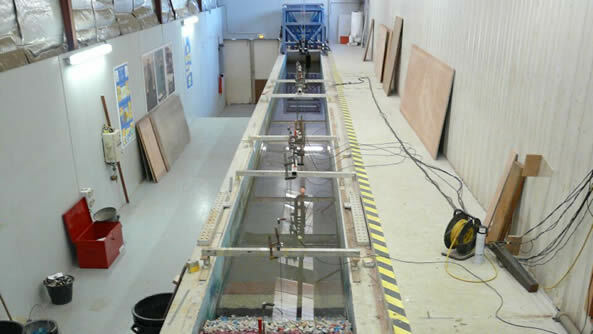 The wave flume is a facility mainly designed for physical model testing of coastal structures. These tests verify the stability of one or more sections (2D) of these works in a particular marine environment, and evaluate them in terms of protection performance, stability, reflection or transmission in order to optimize the project. 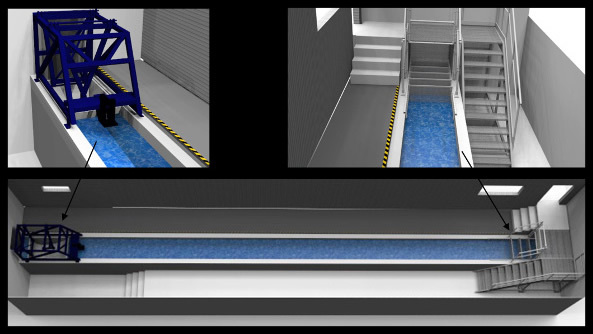 They are usually followed by a wave tank tests campaign for taking into account possible three dimensional effects (3D). They can also be used in other areas, such as developments in deepwater to perform preliminary inexpensive tests. Movable floor to model site bathymetry. aerial, underwater and fast (200Hz) cameras.